A great number of people I know ask, "Where do you live?". I always tell them, "In Tempe, near downtown". Well, now you have a chance to see my house. When I first moved in years ago, the place did not look nearly this good. I have done a lot of repairs, as you can see. But thanks to the Tempe City Council, I now have some lakeshore property. There is a slight drawback with all of the people walking by on the weekends. I have to keep the shades drawn all the time. It is also hard to park near the house. 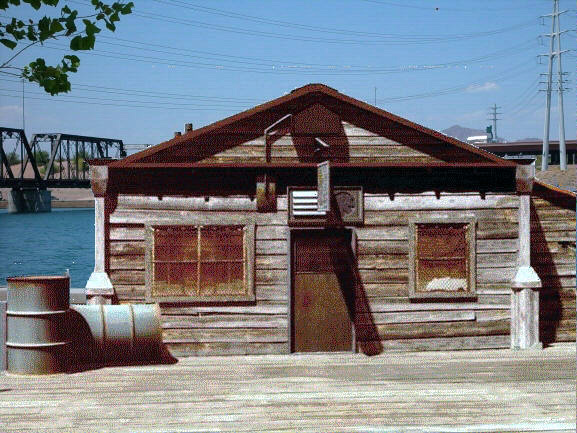 But, hey, if you are ever near the southside of the beautiful Tempe Town Lake, stop by and say hi.